Before purchasing a service or product from a vendor, it is good practice to have multiple vendors offering similar services or products available for comparison. The process of selecting the ideal vendor from this group should be fair and transparent. It should be based upon a well-defined set of criteria, which must be agreed upon by the relevant stakeholders. To facilitate this process, companies should adopt the use of a vendor evaluation scorecard to compare and rate the performance of each vendor. Metrics of assessment not aligning with organisation’s objectives. Every scorecard should be modified based on what your organisation is looking to achieve from hiring this vendor. The same scorecard should not be reused, especially when the scorecard will be used to evaluate vendors from another vertical. Metrics of assessment placing an excessive emphasis on purchase price. While the purchase price is an easy quantifiable metric, it is insufficient in representing the total cost incurred. 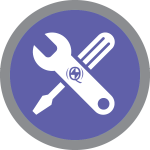 Other cost such as inspection, receiving and ordering costs has to be tracked as part of the cost of ownership associated with the supplier. Scorecard is user-unfriendly. A scorecard has to be intuitive enough so that relevant employees can utilise the tool even without any guidance. Most organisations face difficulties in properly identifying and defining the right metrics for your organisation. A good scorecard would contain metrics which are measurable against some benchmark and also contain multiple metrics for a particular area of focus. The former is to ensure that the metrics remain as objective as possible, while the latter is to ensure that the multiple aspects are considered. With these metrics available, the overall result of a vendor can then be computed using a weighted scoring system (which should be adjustable based on what a company prioritises in a vendor). After a vendor is selected, the scorecard should be properly archived to facilitate any audit processes. 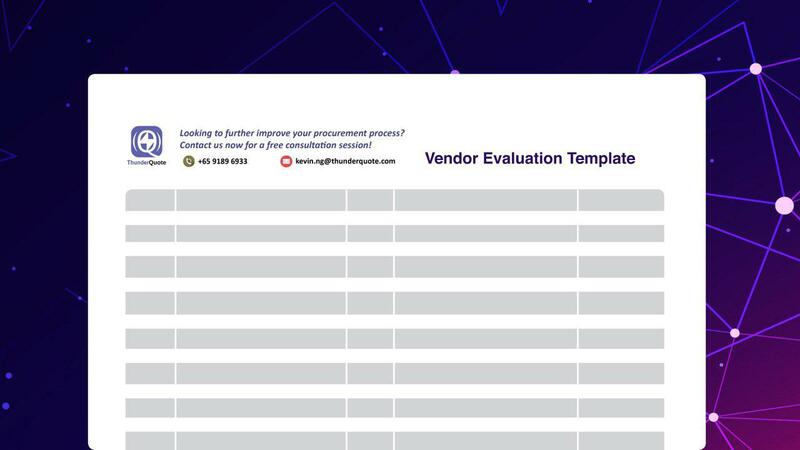 A sample vendor evaluation template, with a set of criteria based on what organisations commonly look out for, can be downloaded here. The template offers customisability in the scoring to tailor your organisation’s needs. For a fully digitised and automated version, consider trying ThunderQuote’s enterprise software, which offers more customisability, as well as proper archival of documents across your organisation. Find out more here.